The PC version of Titanfall gets even more eye-candy. 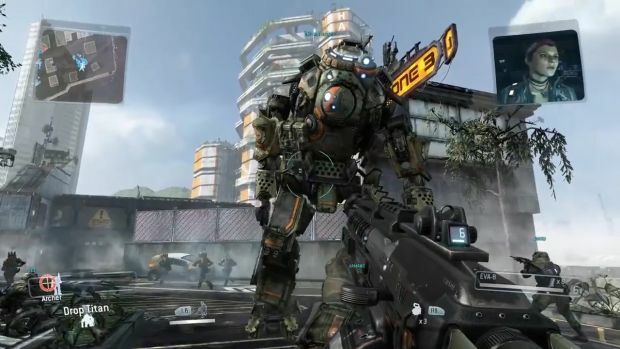 Respawn Entertainment’s Titanfall continues to evolve as Nvidia has announced that its Gameworks staff will be collaborating with the developer to implement new Nvidia-specific features to the PC version. What can we look forward to? Temporal anti-aliasing (TXAA) for one, which willl combine MSAA, post processing and custom filters to reduce flickering and further smoothen out visuals. There will also be Horizon Based Ambient Occlusion+ (HBAO+) for more realistic shadows, support for 4K resolution displays and support for SLI multi-GPUs to further enhance the experience. Titanfall on the PC is already a good step up over the Xbox One version due to its full HD resolution and near 60 FPS frame rate (depending on your graphics card, of course). How will it look in the coming months with all of Nvidia’s new updates for PC? We’ll find out and keep you posted. In the mean time, how are you finding the experience? Let us know in the comments.